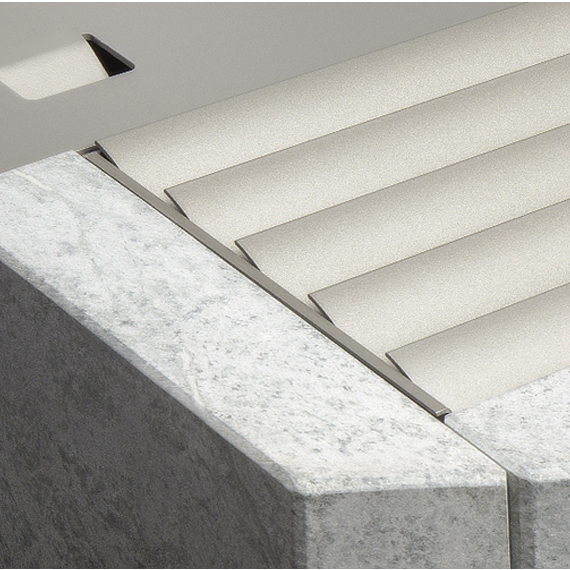 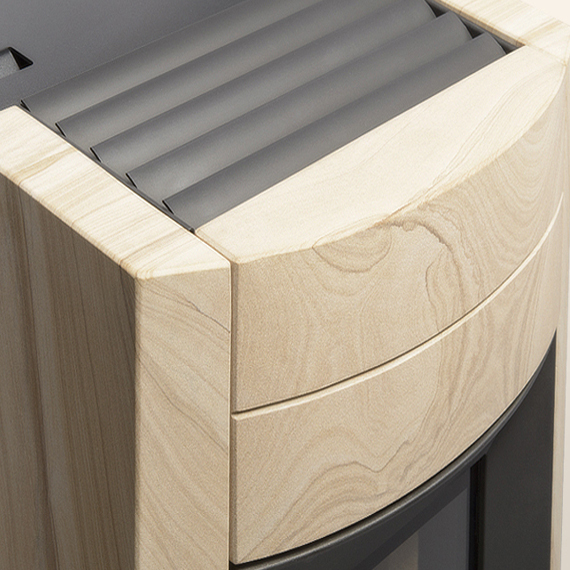 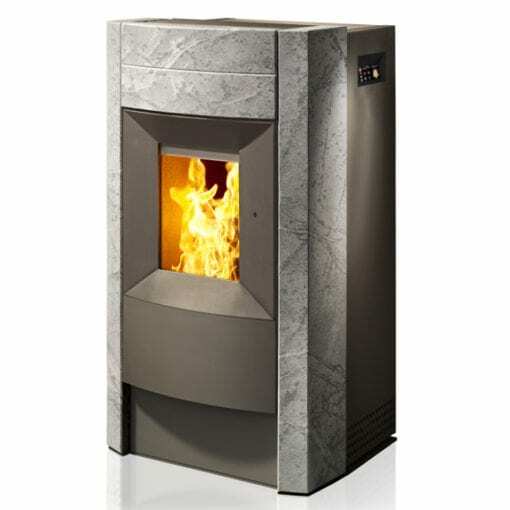 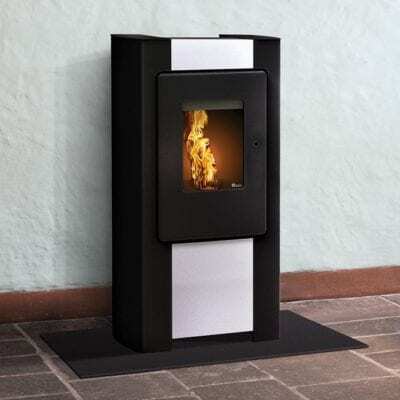 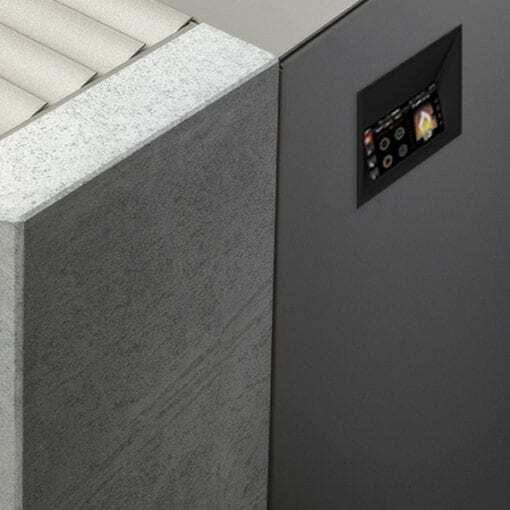 The REVO pellet fire comes in the choice of two natural stone finishes – Soapstone or Sandstone. Enjoy the cosy warmth of the fire many hours after it has been extinguished thanks to the large thermal mass of the stone sides. The REVO pellet fire comes in the choice of two natural stone finishes – Soapstone or Sandstone. 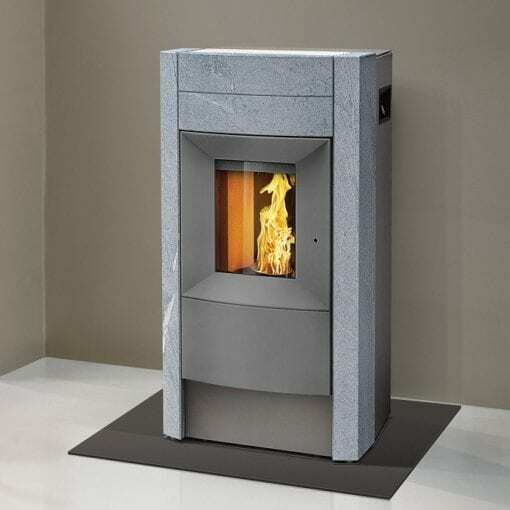 Enjoy the cosy warmth of the fire many hours after it has been extinguished thanks to the large thermal mass of the stone sides. The REVO pellet fire also works with a continuous-action supply screw conveyor instead of an pulsing auger. 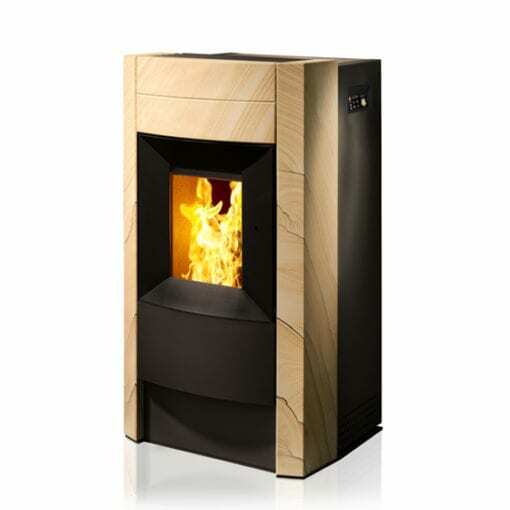 This ensures considerably quieter operation and an even more soothing flame display. 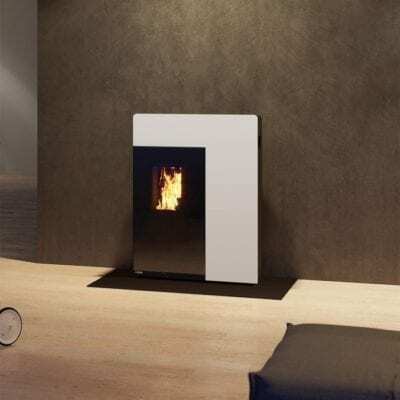 This pellet fire makes it easy to relax and enjoy the atmosphere of your own home. 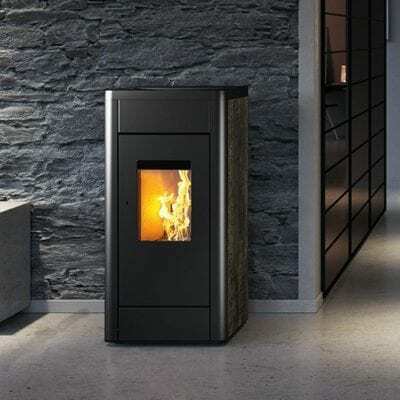 Savour the marvellous warmth of pellet heating on a cold winter’s day with the REVO pellet fire.